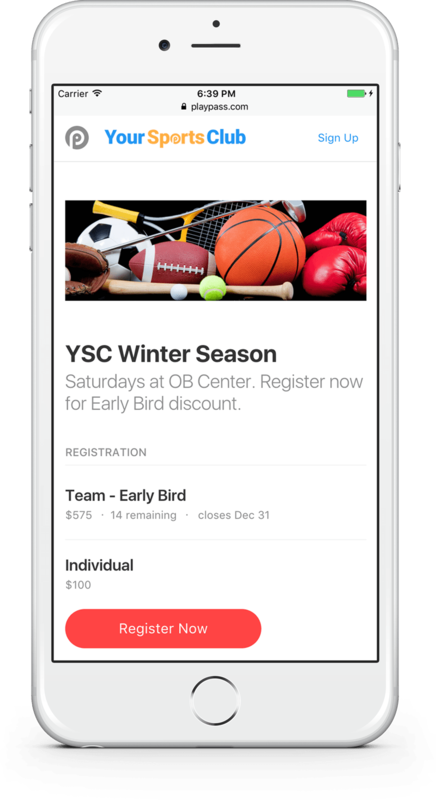 Online payments are available to sports organizers in 25 countries, including the United States. All payments are securely processed by Stripe. 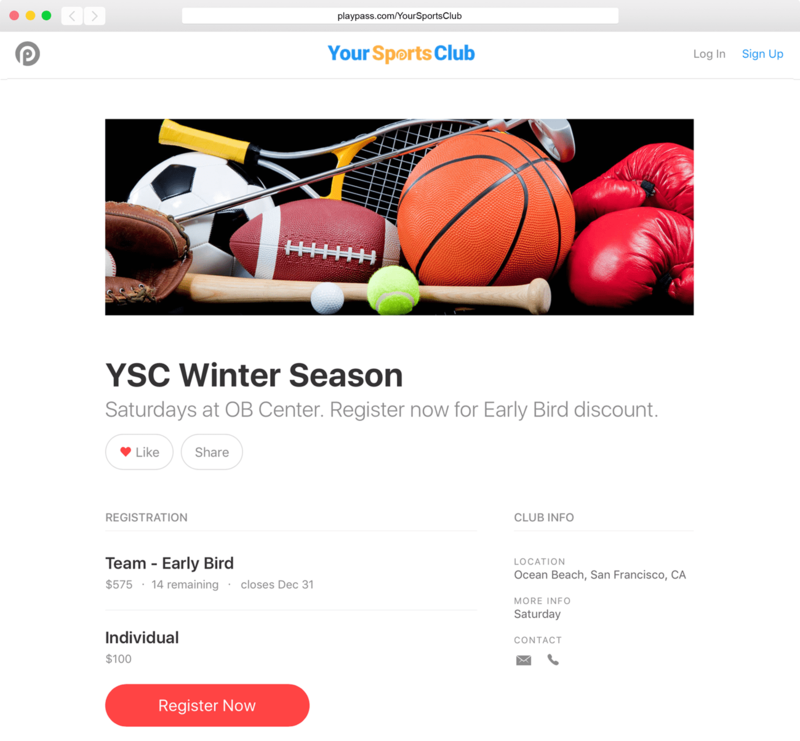 Playpass has you covered with online sports registration software that is beautifully designed for mobile, tablets, and PC's. Delight customers with quick and easy registration.